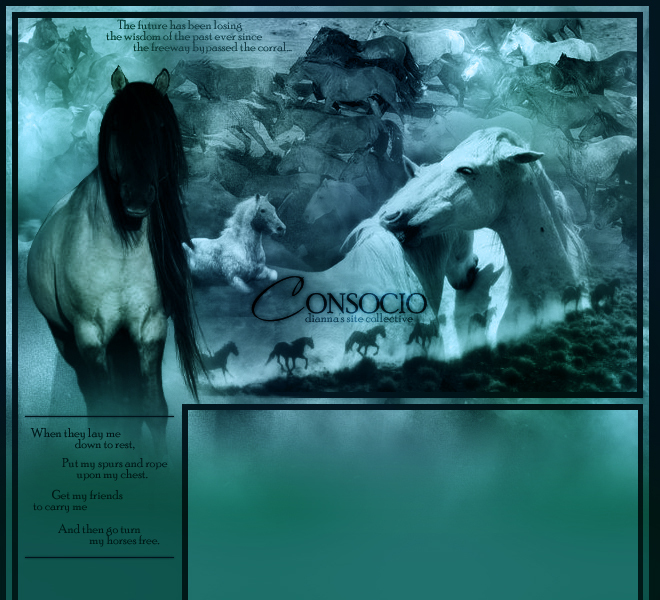 Beqanna is the horse role playing game that I run with Cassi. Beginning as a good versus evil game, it has since evolved into eight kingdoms with thousands of horses having passed through. Equinus-Sapientia is my personal site and blog - currently on hiatus. The site for my school's NHS, of which I was president in '07-'08. The site for my school's Latin club. I don't actually "own" it, but I host it on equinus-sapientia.net and I'm the webmistress - at least for this year. This is just a temporary gallery of images I've made until I find time to make another and upload the newer ones. This is a listing of all the horses I've played on Beqanna.com throughout the years with some information about each one. This is my main Horseland.com account, where I breed mainly mustangs, straight egyptian arabians, and rottweilers. This is my retirement Horseland.com account, where all my horses and dogs are kept after they've retired.